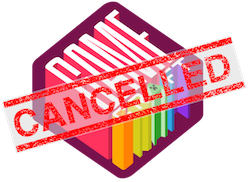 IMPORTANT ANNOUNCEMENT: NEW YORK GAMECRAFT HAS BEEN CANCELLED. We are sad to announce that New York GameCraft has been cancelled due to low signups and us not advertising more about the event. BUT don't worry, we will be back along with Skills Matter in New York in 2015. So stay tuned by following us on @globalgamecraft. One of us, Andrea Magnorsky, will be in New York on October 4th, if you want to meet up with her and other indies for a get together, drop us an email. If you want to help us out and get involved with the next GameCraft, and make this one of our biggest and most memorable game jam outside of Ireland, email us at [email protected]. Hello game developers of New York. GameCraft is a game jam event designed around building the gaming community. We aim to create events which allow game-makers to meet, share ideas, have fun, compete for prizes and most importantly make games! At 7pm, you stop developing your games and go and play other peoples games. This event coult not happen without the help from Game Center (thanks Eric for all the intros) and SkillsMatter.